This beautiful 10 x 18 patio cover is a great way to protect yourself and your patio from the elements. 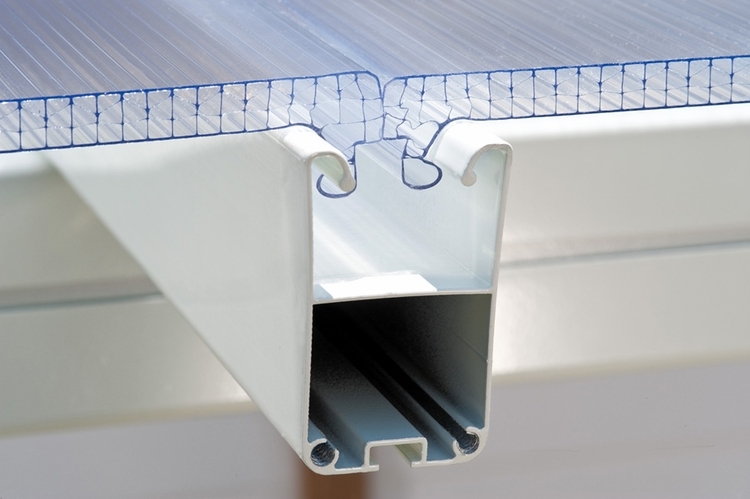 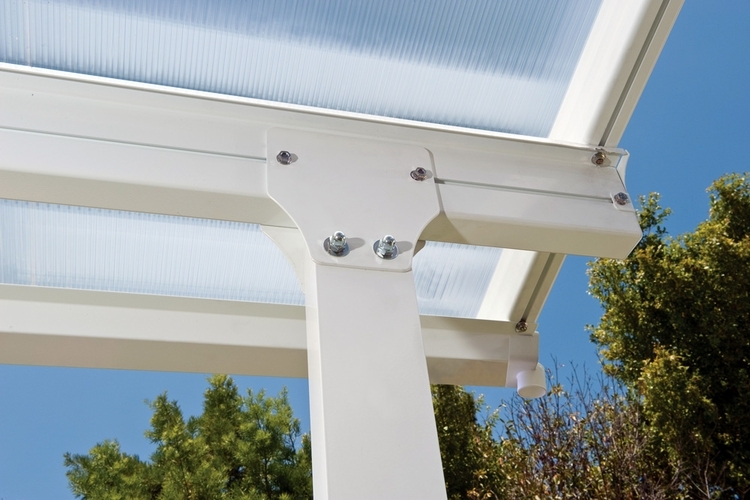 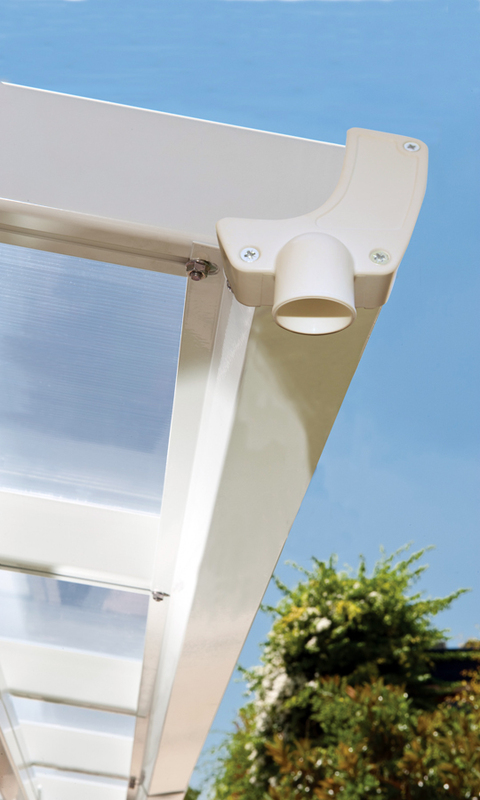 The clear, UV protected, polycarbonate roof panels snap easily into place and protect your family as well as your patio furniture from harmful UV rays as well as the weather, while still allowing the sun to shine through. The white powder coated aluminum frame matches nearly any home color and provides additional protection from rust and discoloration. 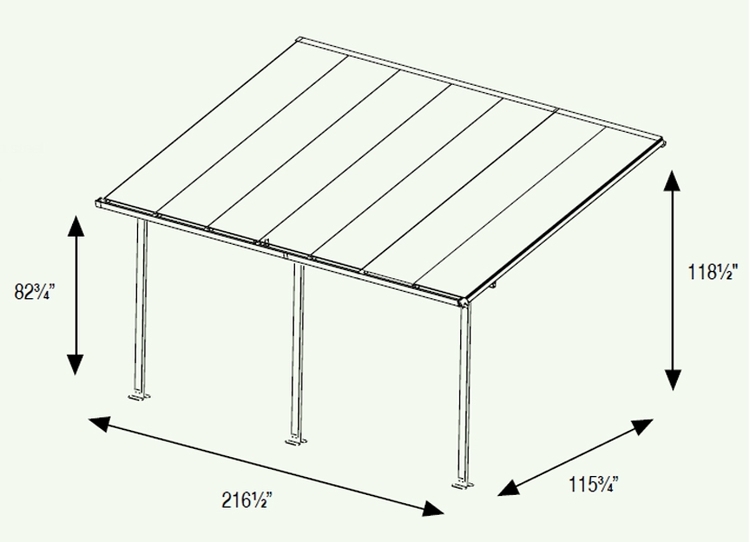 The patio framing unique design can also easily adjust to fit your patio�s dimensions. 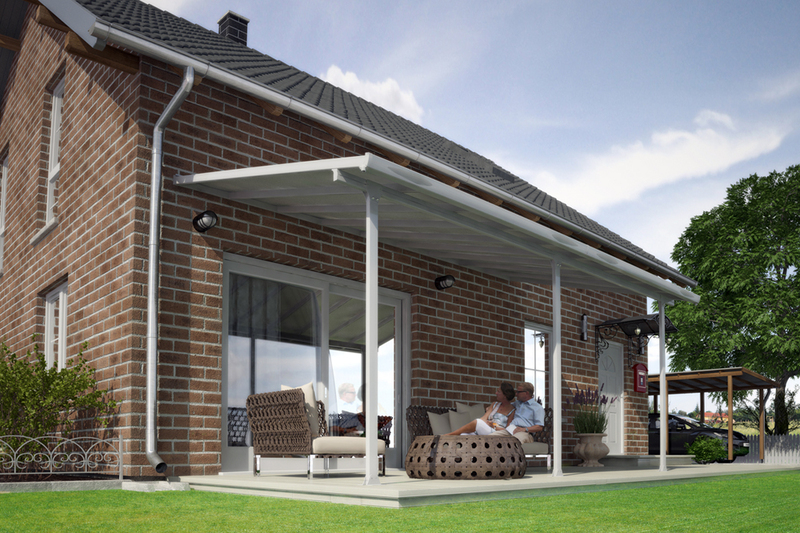 All in all this is a great way to garner additional outdoor space at a relatively modest price.